As I understand it, a closeout set has a different shape and break pattern than most waves—where a normal wave is angled as it approaches the beach, and therefore breaks in a sequence that starts at its forwardmost point and moves along the wave’s length, a closeout wave is basically parallel to the beach, and will break all at once, so that a surfer trying to ride it either has to ride under the break or has to try to turn perpendicular to it, and ride straight at shore. Both choices carry risk: riding under the break subjects the surfer to the force of a collapsing wave; riding straight ahead potentially means having to dodge rocks or other surfers or swimmers, features that wouldn’t necessarily otherwise come into play. Riding a closeout set can be dangerous under normal conditions; riding one in a huge, hurricane-fueled swell, and at a location with a shallow reef system and rocks that protrude from the water, is obviously an enormous risk. 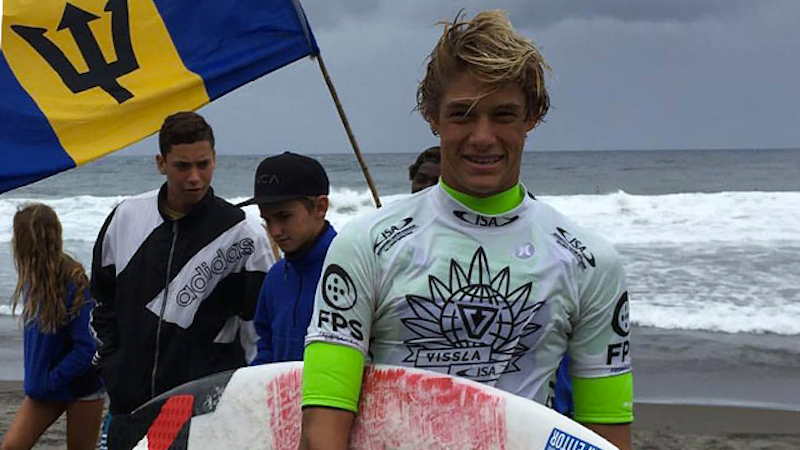 Surfline initially suspected that Venezia broke his neck upon crashing into the shallow reef, but an autopsy performed this week reportedly confirmed that he was knocked unconscious by the wave, and drowned in the surf.